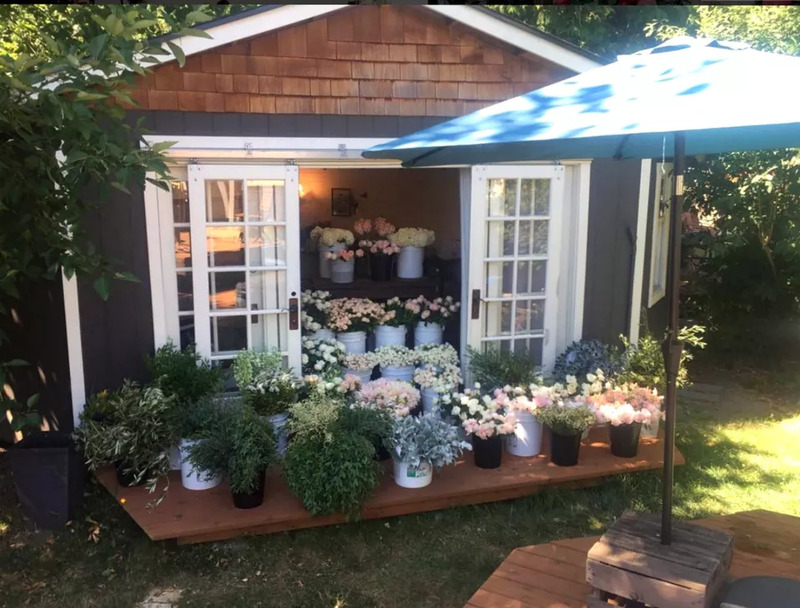 Seattle-based wedding and event florist and designer Tara Millar uses the custom-built shed studio in her backyard to store and arrange many of her beautiful creations that feature large blooms and assorted local greenery. The studio includes a wooden deck and glass-paned doors and windows. 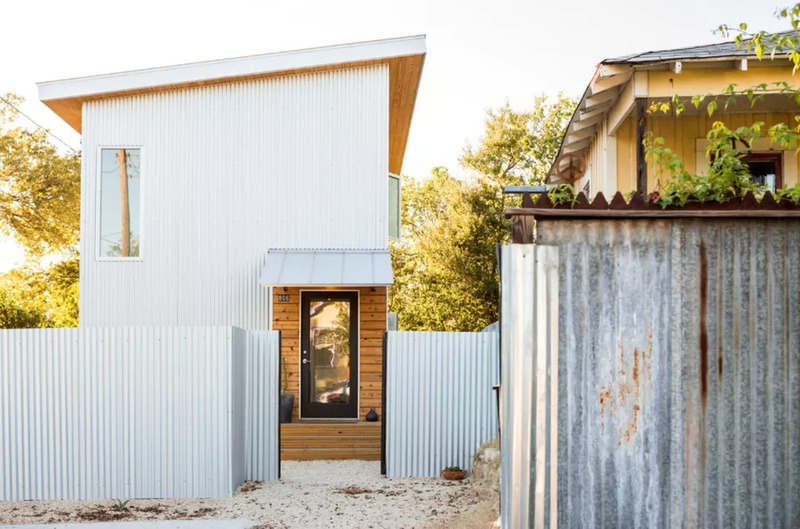 A shed-like companion residence was built adjacent to the existing house on this property in Austin, Texas. Designed and constructed by Moontower, the structure features exposed plywood, blackened steel, clear sealed cedar and pine, exposed structural elements, and utilitarian lighting fixtures. A balcony gives the building a treehouse feel and offers views of the Austin skyline and a nearby college bell tower.